Situated on the breathtaking, award-winning white sands of Maroma Beach, El Dorado Maroma is ideal for guests seeking active relaxation in a luxurious boutique environment, with gourmet a la carte cuisine, infinity swim-up oceanfront suites, a full-service spa and impeccable service. Providing a secluded setting, the resort hosts 101 suites, ensuring that each guest receives the ultimate service, with a full-service concierge and beach butlers. Guests can also enjoy culinary events such as a Fresh Fish Market and Paella on the beach, plus deep sea fishing, motor boats and a variety of water sports at the marina next door. At the heart of every great story, there always seems to be a great meal. That's why at the heart of every El Dorado resort, there is the Gourmet Inclusive experience, with award-winning cuisine in a wide variety of settings. Chefs and servers have been trained around the world, bringing a level of passion, creativity, sophistication and service that rivals the finest restaurants on any continent. Whether you choose to sample every activity or to do nothing at all, the choice is all yours - and the setting is perfect no matter what you choose. 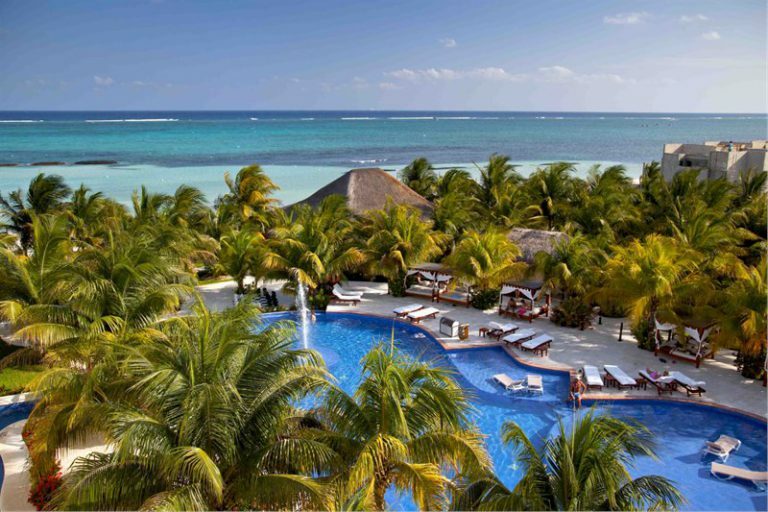 Adults-only elegance awaits on one of the top ten beaches in the world at El Dorado Maroma, a Gourmet Inclusive resort.